Give us a call or fill out an appointment request form online. One of our friendly customer service representatives will get in contact with you. From here, we will setup your very own complimentary in-home consultation with a professional closet and storage designer. The most important part of the process is the in-home consultation with our Closet Works designer. It helps our team to learn more about you and your needs and to physically see the space in order to bring your design to fruition. After your in-home consultation, our design team works together in order to create a 3D rendering of your new system. This proposal will arrive within 2-7 days of your initial consultation. It includes choices for the materials and finishes, and a competitive estimate for the project. Once the final designs are approved, our team at Closet Works instantly begins constructing and fabricating all of the components needed for your new space. This is the last step in the process before installation. Installation usually occurs 3-4 weeks after you approve your final designs. (Lead times vary depending on the size of your project and the time of year). Watch as nirvana unfolds before your eyes! In no time, our team of friendly, professional installers will return to your home and set up your system to our designers' exact specifications. When the installation is finished, you're ready to take advantage of your new-found organization and bask in the serenity of your new personal space! As the new components are being fabricated, our prep team is available to prepare your new space for installation. 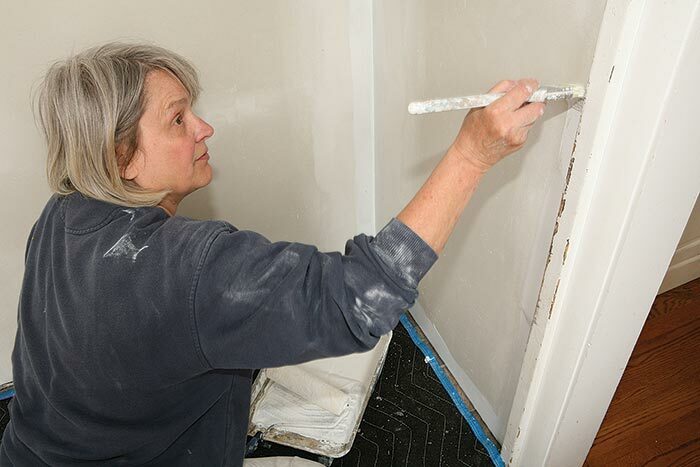 This can include patching, repairing, and/or painting of the drywall on the walls and ceiling. *This is an optional add-on service — talk to your designer for details. 0% financing available to qualified buyers! Your designer is your point person and account manager throughout the entire Closet Works process. Personal attention is always just one phone call away.